After James Wan Conjuring-esque idea for an Aquaman spin-off about The Trench film in development – spawning many a criticism and head-scratching alike – news of Aquaman 2 has been made known. Production on the Aquaman sequel has official begun development. Rumour has it the (working) title for the sequel is Aquaman: The King Dead and is slated for a 2022 release. With that also comes news that a writer is attached. David Leslie Johnson-McGoldrick, who co-wrote the first flick, is on board again for the sequel. But it looks like James Wan may not be directing the sequel, but however will remain on as a producer alongside Peter Safran. 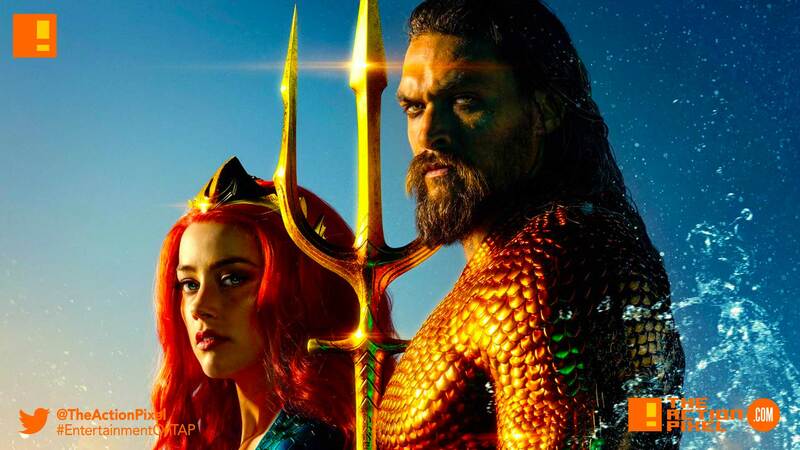 As for actors, Jason Momoa is certainly returning as the aquatic King alongside Amber Heard’s Mera. And if we are to go by the post-credit ‘cliffhanger’, Yahya Abdul-Mateen II’s Black Manta will be the nemesis (or one of, at least) for the second go around.